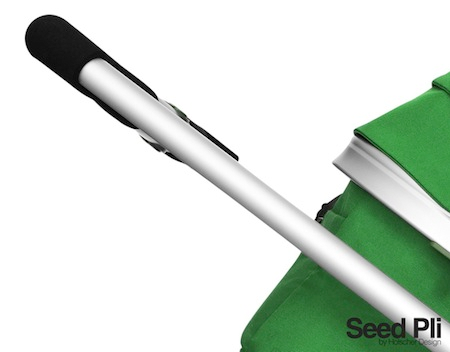 Seed Pli has been designed to accommodate today’s parents. 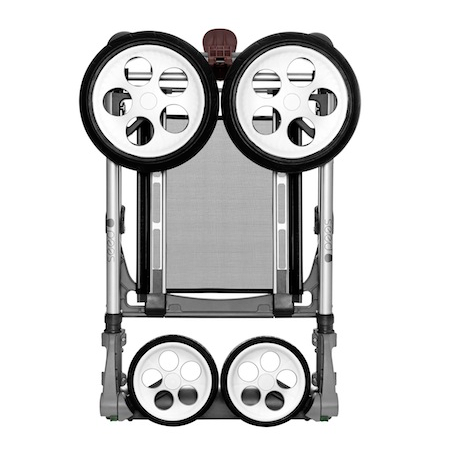 A modern design, neatly expressing the best of Scandinavian design combined with the need for mobility and functionality. 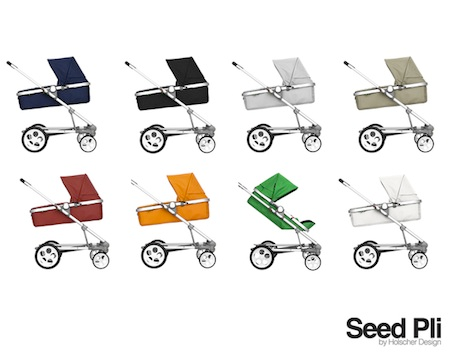 Seed Pli is a safe pram for the newborn and a stroller for the toddler, without compromising the performance: A cosy cave for sleeping, and a comfortable seat on wheels for exploring the world. 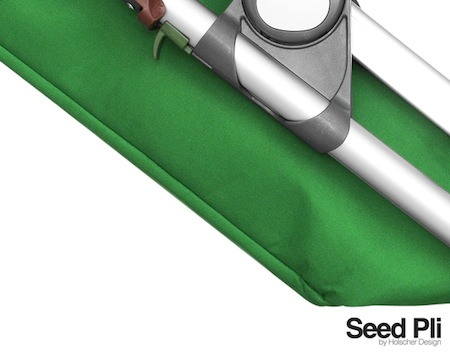 The functionality is almost self-explanatory: Easy to unfold and prepare for a walk. 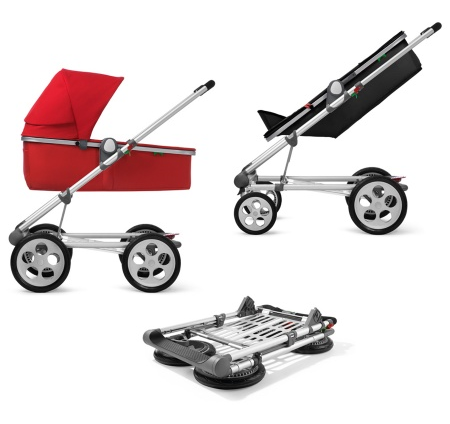 Easy to transform from pram to stroller, and even easier to fold and put away. Plenty of room for shopping under the box. 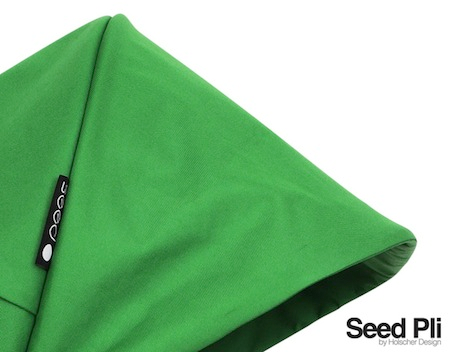 Click here to view how it works. 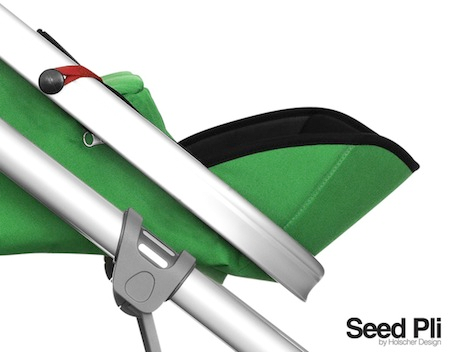 The materials have all been chosen for lasting durability: High grade aluminium for the frame, a diverse range of flight industry plastics and alloy for the fittings, and high quality fabrics including YKK zippers for the box and the textile parts. 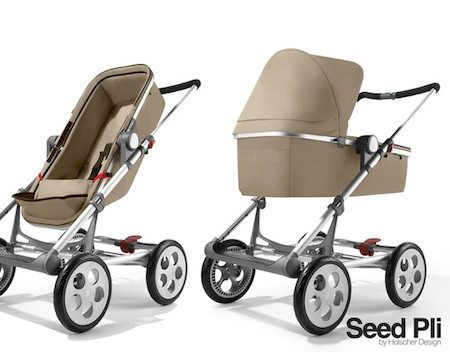 Excellent design!It will get terribly popular among new and old parents.